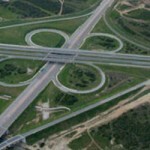 Cape Town – South Africa will spend billions of rands over the coming years on new infrastructure, with the government to focus on building rail, road, and economic links in five regions in the country and building new universities and refurbishing hospitals, President Jacob Zuma said in his State of the Nation Address this evening. Zuma announced that he would convene a presidential infrastructure summit to discuss the implementation of the government’s plan with potential investors and social partners. The government’s massive infrastructure plan would be driven and overseen by the Presidential Infrastructure Coordinating Commission which was set up in September last year. The plan brings together ministers, premiers and mayors of the country’s metropolitan areas, under the leadership of Zuma and Deputy President Kgalema Motlanthe. “We will use the project management expertise gained during the 2010 FIFA Soccer World Cup to make this project a success,” he said, adding that the commission had identified and developed projects from state-owned enterprises as well as government departments. “These have been clustered, sequenced and prioritised into a pipeline of strategic integrated projects,” he said. -The development and integration of rail, road and water infrastructure, in the Waterberg and Steelpoort in Limpopo. -Improving the movement of goods and economic integration through a Durban-Free State-Gauteng logistics and industrial corridor. -A new south eastern node that will improve the industrial and agricultural development and export capacity of the Eastern Cape region, and links with the Northern Cape and KwaZulu-Natal. -The expansion in the North West of the roll-out of water, roads, rail and electricity infrastructure. -The improvement of infrastructure, including rail, on the West Coast. In Limpopo, Zuma said the improved infrastructure would help unlock the enormous mineral belt of coal, platinum, palladium, chrome and other minerals, in order to facilitate increased mining as well as stepped-up beneficiation of minerals. “Using the developments in Limpopo as a base, we will expand rail transport in Mpumalanga, connecting coalfields to power stations,” said Zuma. He said the eastern parts of the North West would also benefit from the greater focus on infrastructure connected to mining and mineral beneficiation. Zuma said the development of the Durban-Free State-Gauteng logistics and industrial corridor would help connect the major economic centres of Gauteng and Durban and Pinetown, and connect these centres with improved export capacity through our sea-ports. “In this regard, I am pleased to announce the Market Demand Strategy of Transnet, which entails an investment, over the next seven years, of R300bn rand in capital projects,” said Zuma, adding that R200bn had been allocated to rail projects and the majority of the balance, to projects in the ports. He said among the list of planned projects, the expansion of the iron ore export channel from 60 million tons per annum to 82 million tons per annum. “It also includes various improvements to the Durban-Gauteng Rail corridor and the phased development of a new 16 million tons per annum manganese export channel through the Port of Ngqura in Nelson Mandela Bay,” he said. He said the Market Demand Strategy would result in the creation of more jobs in the SA economy, as well as increased localisation and Black Economic Empowerment (BEE). “It will also position South Africa as a regional trans-shipment hub for Sub-Saharan Africa and deliver on Nepad’s regional integration agenda,” he said. He added that the government had also been looking at reducing port charges, as part of reducing the costs of doing business. “The issue of high port charges was one of those raised sharply by the automotive sector in Port Elizabeth and Uitenhage during my performance monitoring visit to the sector last year,” he said. “In this regard, I am pleased to announce that the Port Regulator and Transnet have agreed to an arrangement which will result in exporters of manufactured goods, receiving a significant decrease in port charges, during the coming year, equal to about R1bn in total. Zuma said the development of the south eastern node in industrial and agricultural development and export capacity of the Eastern Cape region and expand the province’s economic and logistics linkages with the Northern Cape and KwaZulu-Natal. “In the former Transkei part of the Eastern Cape, we are committed to building a dam using the Umzimvubu River as the source, in order to expand agricultural production,” he said. Added to this, he said the Mthatha revitalisation project, which is a presidential special project, is proceeding very well. Zuma said the expansion infrastructure in the North West would include the upgrading of 10 priority roads. 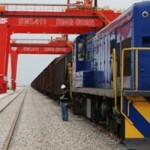 On the West Coast, the government would focus on expanding the iron-ore rail line between Sishen in Northern Cape and Saldanha Bay in the Western Cape, which he added would create large numbers of jobs in both provinces. “The iron-ore capacity on the transport-side will increase capacity to 100 million tons per annum,” he said, adding that this would help to feed the developing world’s demand for iron ore. The government had also identified infrastructure projects which would help to lay the basis for the National Health Insurance system such as the refurbishment of hospitals and nurses’ homes. Zuma said R300m had been allocated for the preparatory work towards building new universities in Mpumalanga and Northern Cape. Another infrastructure project with great potential is South Africa’s bid to host the Square Kilometre Array radio telescope in partnership with eight other African countries. 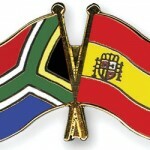 Zuma urged South Africans to support the country’s bid, with the winning bid expected to be announced next month. The country would also champion the North-South Road and Rail Corridor on the continent, which is part of the AU’s Nepad Presidential Infrastructure Championing initiative. “The massive investment in infrastructure must leave more than just power stations, rail-lines, dams and roads. 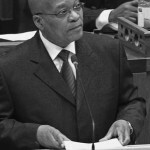 It must industrialise the country, generate skills and boost much needed job creation,” said Zuma. Zuma said water infrastructure is also being attended to with five new water augmentation schemes are on schedule. Zuma listed these as the Olifants River Water Resource in Steelpoort in Limpopo Province, the Vaal River Eastern Sub-System in Secunda in Mpumalanga, Komati Water Augmentation Scheme in Nkangala in Mpumalanga, the raising of Hazelmere dam in KwaZulu-Natal and the Clan William Dam in Clan William in the Western Cape. Added to this nine out of the country’s 25 dams have been rehabilitated. He said to boost energy capacity, the government would continue searching for renewable energy sources, especially solar electricity and biofuels as we implement the Green Economy Accord with economic stakeholders. The government wants to install one million solar geysers by the 2014 financial year, and had so far installed more than 220 000 solar geysers nationwide, said Zuma. “We have outlined a busy infrastructure implementation programme for now until 2014 and beyond. “I would like to appeal to all our people to join hands as they always do, as we deal decisively with the triple challenges of unemployment, poverty and inequality. Nobody will do this for us, it is in our hands. And we are all equal to the task.